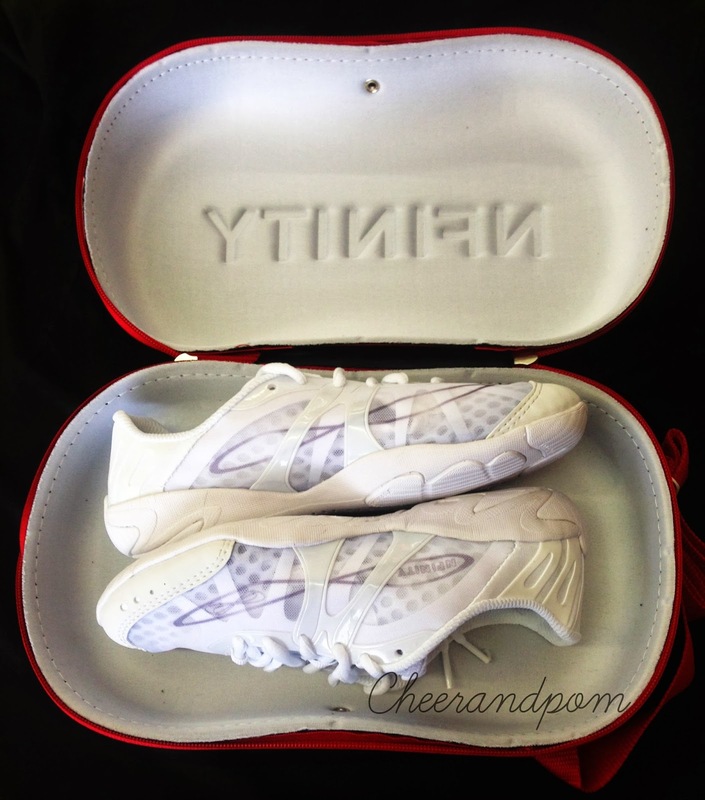 Obviously it's no secret that the Nfinity Cheerleading shoes are the must have shoe for this cheer season. They're lightweight, comfortable, and great for tumbling. The number one question we get? How in the world are you supposed to know which style is best for you? Well, here we are to save the day. We took the two most popular styles, the Evolution and the Vengeance, and compared them side by side to help you make the choice that's right for you. Let's start with the basics. Nfinity, which launched in 2003, is dedicated to providing shoes that work for you as the amazing athlete you are. Both the Evolution and the Vengeance are equipped with the following technologies. First off, the Nfinity BioniQ. This will naturally align your midsole and therefore will keep your foot at a peak performance level. Especially during jumping and landing, where it matters most. By supporting your foot this way it can, in turn, decrease the stress put on your knees and reduce injuries. Next up, you've got the Qplate and the Qchannel system. With these two working together it will make sure your foot is centered while it transitions from the heels to the toes. It's so important to stay safe while you cheer so having these in your corner is a huge bonus. Isn't it nice that you won't have to choose between either of those in your shoes!? When tumbling, what's better than a lightweight and flexible shoe? Evolutions are incredibly lightweight weighing in at only 6.5 ounces, with a sateen and leather upper. The lower profile will help your foot to be closer to the floor providing amazing flexibility. What's also great about this shoe is that with the added cushion they have provided in the midsole these are designed to be worn on a mat or a spring floor. Talk about versatility! The rubber outsole on the Evolution provides slightly better durability than the Vengeance. Nfinit and Ankle loc are two more technologies that Nfinity has added to the Evolution. They keep a natural fit around the toes and jumping area so you can move more freely but also locks in your ankle so your shoes won't slip while you cheer. Lastly, how awful would it be if your shoes became untied during a tumbling pass of competition? Well, they've added bubble laces to keep your shoes snug and to keep them tied. As far as sizing goes, the Evolution fits 2 sizes smaller in kids and about a half size smaller in women's. So don't be surprised if you find yourself getting a bigger size than you usually wear. Totally normal! It is recommended that they fit snug as the sateen upper will stretch as you break them in, because what's worse than cheer shoes that are too big!? Because everyone's foot is different, we don't guarantee sizing, these are just recommendations. We weren't lying when we said that the Evolution was lightweight, but compared to the Vengeance, it's no match. These are by far the lightest shoes out there. I mean, how can you compete when it weights only 3.9 ounces? Part of the reason they're so light is the nylon-mesh upper on it. Not only does it reduce the weight but it also give you maximum flexibility for tumbling. The mesh also allows your socks to show through. How cool is it that if you want to coordinate your squad's colors with your shoes, you can! While it doesn't include the Ankle Loc like the Evolution, it does have small pillows of cushion heaven to increase the comfort. Barefoot feel? Absolutely! However, because these are so low profile, there is pretty much zero midsole cushioning which makes them designed only for a spring floor. And of course, because snug shoes that stay tied are so important they have also given you bubble laces. The Vengeance also fits about 2 sizes small in kids but a whole size smaller in women's. It fits slightly narrow through the midsole but it does have a wider toe box for tumbling. This will also stretch, just not as much as the Evolution. Again, these are only recommendations. Phew, that was a lot! But now that we've laid out all the facts, let us know which shoe you decided to go with. And after all that, if you still can't decide which one to go with, give us a call at 877-200-4944 or email us at customerservice@cheerandpom.com. We'd love to help you out with your decision! Cheer and Pom offers one of the most comprehensive selections of cheerleading footwear. We have dedicated Team Sales Specialists to help throughout every step of the shoe buying process. From finding a shoe to fit your budget all the way until the end of your season. Cheer and Pom will help you through it all.